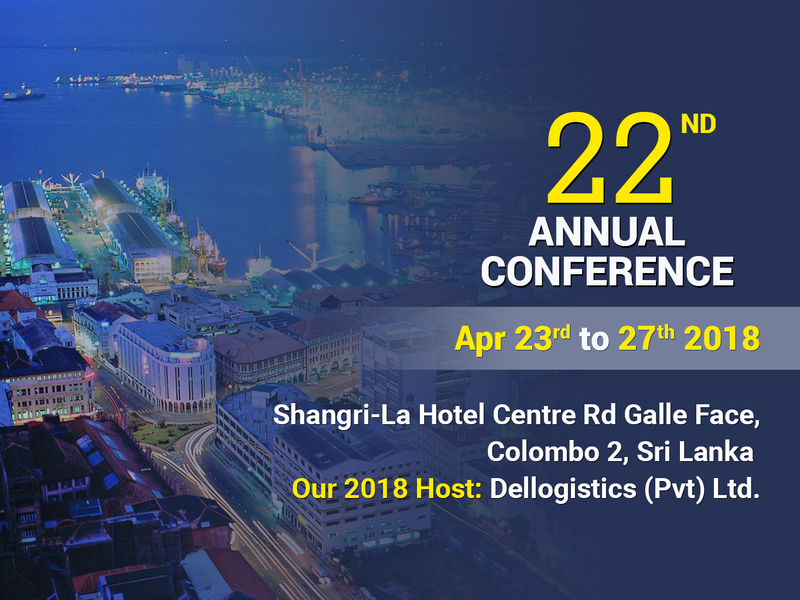 A link is provided here, so the delegates to the 22nd CPN Conference in Colombo Sri Lanka can make the booking of their hotel reservation at the Shangri-La Hotel. This links allows the delegates to book rooms of the Deluxe Lake View category from the number of rooms that CPN has blocked with a special corporate rate for the Conference. If any participant would like to book a different category of room, from the ones included in the announcement , (also at the special rate provided to CPN, see below) then will have to submit the request by e-mail ( specifying the type of room and check in and out dates) to csteam.slcb@shangri-la.com ; writing in the subject line “Cargo Partners network conference”. Single occupancy room display rate: $ 145.00 USD + taxes 30.28% = USD 188.90. In the announcement this was rounded to USD $ 189.00 for reasons of simplicity. This rule will apply to all categories posted in the announcement. our 2018 Host: Dellogistics (Pvt) Ltd.
ACCOMODATION Reserve the Hotel as soon as possible !! "The Annual General Meeting of the membership shall be held during the yearly CPN Conference. The preferred time is in the spring of each year at a date and place (region) as pre-selected at the AGM during the previous Conference and at the bidding of the BOD. This will include early notification and invitation to CPN members of the specific region (Europe/North America incl. Mexico/Central and South America/Middle East and Mediterranean/Asia/Indian Sub-Continent. Interested members will then be given a specific timeline to submit their interest to host the CPN Conference. Such expression of interest should be accompanied by a presentation of the proposed venue, capabilities, support from local authorities, possible sponsors etc. Attendance of the annual CPN Conference is mandatory for all CPN Members. Only once in 5 year period a member can ask for waiver on the ground of extreme emergency. Only CPN Board will have the discretion to consider the request of waiver. Non-attendance will lead to risk of automatic membership cancellation. In addition, when a company exceeds the permitted quota of once in 5 years under “extreme emergency” and fails to attend the Annual General Meeting, the condition of exclusivity for this company’s territory will be revoked and the Board of Directors will be allowed to set up a process for seeking an additional member for the involved territory, so this territory is always represented and the continuity of the CPN business on it is guaranteed." Shangri-La's world-renowned CHI, The Spa presents 7 private rooms and a soothing selection of traditional Sri Lankan and Asian treatments and therapies. The spa is complemented by a state-of-the-art, 24-hour Health Club and one of the largest outdoor swimming pools in Colombo. To meet the needs of Colombo's dynamic business community, Shangri-La Hotel, Colombo, is pleased to offer the largest and most extensive hotel conference and event facilities in the region, which can cater to up to 2,000 guests. Colombo is the gateway city to discovering the rich culture, wildlife, mountains and beaches that make Sri Lanka so unique. Shangri-La Hotel, Colombo is the perfect stopover for travellers going to the sister properties in Hambantota, which is in southeastern Sri Lanka, and Villingili in the Maldives. Citizens of Belarus, Chile, India, Indonesia, Iran, Kazakhstan, Nepal, Pakistan, Russia and Vietnam also do not require a visa if holding a diplomatic or official (service) passport. Visa waiver agreement for holders of diplomatic and official passports were signed with Philippines and Bangladesh and for diplomatic passport with Romania but is yet to be ratified.